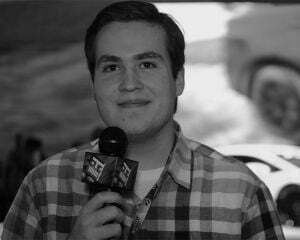 Cutter needs to be in Uncharted 4, right? In a sea of PS3/Xbox 360 to PS4/Xbox One ports, The Nathan Drake Collection is one of the few that actually makes sense. Many former Xbox 360 owners made the jump to PlayStation 4 this generation; as a result, they've missed out on the Uncharted franchise. Uncharted 2: Among Thieves in particular was a seminal release, to the point that it has practically become synonymous with the PlayStation 3 -- maybe even the PlayStation brand in general. I took this past long weekend to re-familiarize myself with the first two Uncharted games for the purposes of this port evaluation -- but also to play Uncharted 3: Drake's Deception for the first time. And you know what? Uncharted 3 is pretty damn fantastic. Maybe even the best of the series. Drake's Deception manages to outdo its predecessors in one area: the interplay between its characters. In a franchise known for witty, naturalistic dialogue, the conversations in Uncharted 3 still manage to stand out. It's hard to nail down exactly why this is the case (change in development staff, practice makes perfect, etc. ), but I believe it has something to do with the mechanics of the story. A popular complaint in sequel-driven franchises is the perceived lack of stakes -- "We know the hero isn't going to lose/die for real, so none of this matters." This is self-inflicted misdirection. What matters isn't the particulars of the plot, it's the characters. A story is only tense if the audience cares about the people who inhabit it. Yes, Nathan Drake's gonna make it through the conflict de jour with all his limbs intact. But what kind of emotional losses will he suffer along the way? That's a reductive way of putting it, but you get what I'm going for, right? The humanity on display in Uncharted 3 starts and ends with the relationship between Nate and Sully. There are shades of this in Drake's Fortune and Among Thieves, as is to be expected with such excellent character work, but it's given a proper analysis in Drake's Deception. Origin stories for established characters are so often either redundant or blunt, so it's pleasantly surprising that the flashback sequence manages to add real, genuine depth to Nate and Sully's partnership. The knowledge that Sully was practically a father to Nate re-defines both of their relationships with the other characters, and proves that both of them are some of the most meaningful people in each other's lives. Not to say the rest of the characters get the shrift, either. Nate's team is expanded with both old and new faces, all of whom feel both compelling and rounded -- especially Cutter. Oh man, do I love Cutter. Every scene with that wonderful man was nothing short of rapturous, and when he was away I prayed to any deity that would hear me voraciously for his return. Every time he was in danger (physically or emotionally), it felt like I was on the verge of death. 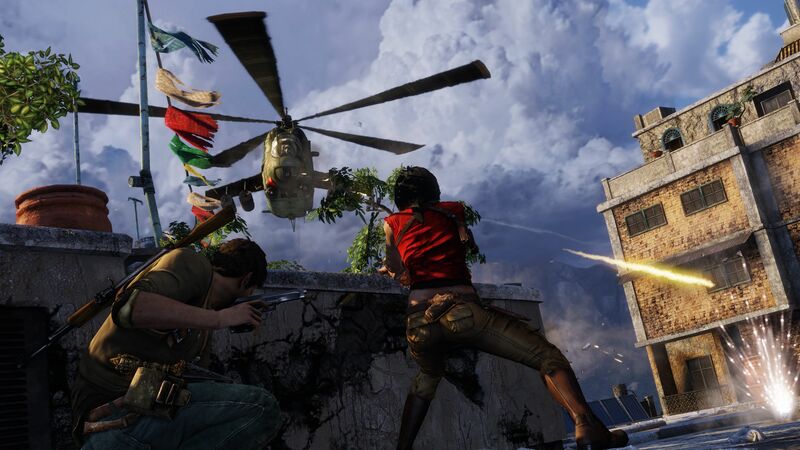 The big, bombastic, cinematic moments that give Uncharted its fame? They mean so much more when I care about the people involved. Although Drake's Deception is the most successful on the story front, the other two games are still worth seeing. Playing all three Uncharted games in a relatively short timeframe is fascinating. From the moderately awkward post-Jak and Daxter lessons of Drake's Fortune, to the brilliant iteration of Among Thieves, to the thematic and character evolutions in Drake's Deception, there's so much work to appreciate here -- especially in the context of Naughty Dog's history. The games also look fantastic as well, and not just thanks to the fresh coat of paint. It's amazing what a great lighting engine can do, especially when applied to a franchise that is partially remembered for pushing what we thought the PS3 could output. Bluepoint Games does fantastic port work, and The Nathan Drake Collection is another win for the studio. There were zero framerate drops and only the occasional walk animation freakout on the part of your compatriots. Nothing game-breaking. The Uncharted series is ostensibly about one adrenaline junkie (the man that gives The Nathan Drake Collection its name) and his failure to evolve. When Indiana Jones resets his love life at the beginning of every Indiana Jones adventure, it's a way of starting from scratch. When Nathan Drake starts every post-Drake's Fortune game separated from Elena, it's a commentary on his immature refusal to move past the treasure hunting that defined his childhood and teenage years, especially in the third installment. 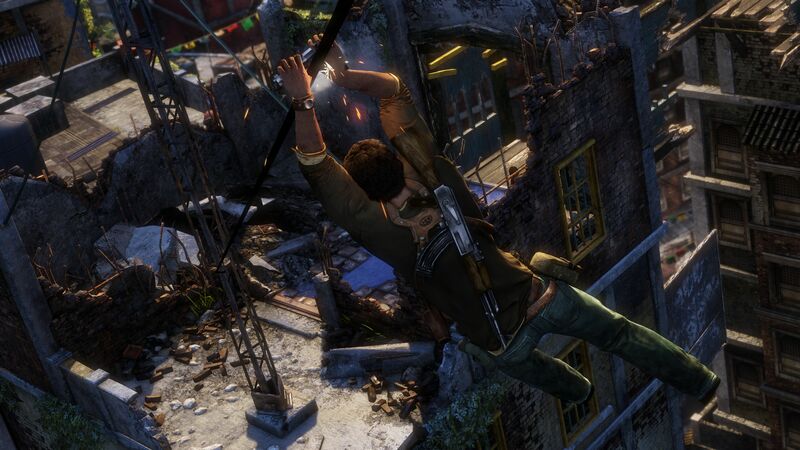 The first two Uncharted games are roller coaster rides that are a bullwhip away from a Lucasfilm lawsuit. Drake's Deception, comparatively, spends its time applying those time-worn stereotypes to some degree of reality and is all the more compelling as a result. You should play The Nathan Drake Collection if you're one of the many Xbox 360 to PlayStation 4 transplants, or even if it's been too long since you last spent time in the Uncharted world. The first game doesn't really hold up, but Among Thieves and Drake's Deception are certainly worth your time -- especially you're interested in the latter's more complex thematic work. And based on what we've seen of A Thief's End's darker tone, this history lesson might just be mandatory.